Scandinavian Journal of Work, Environment & Health - Magnitude of misclassification bias when using a job-exposure matrix. A job-exposure matrix constructed in Southampton, the United Kingdom, was assessed with the use of 1205 occupational histories collected for a case-referent study on primary liver cancer in Finland.  The odds ratios calculated on the basis of the matrix and an assessment by occupational hygienists were compared. The ability of the matrix to detect excess risk was generally satisfactory for chemical and physical agents to which about 10% or more of the studied population was exposed. If only probable exposure at a high level was assigned to the category of the exposed, an excess risk was usually detectable also when the prevalence of exposure was below 10%. This assessment indicates that the British job-exposure matrix is an acceptably valid screening tool also outside the United Kingdom, provided that the misclassification characteristics of the matrix and the significant differences in exposure between the countries are taken into account.